Yesterday, I visited the Duesseldorf watch fair in the Radison-SAS hotel. It is a 2 hour drive from The Hague and (much) more interesting than the Dutch watch fairs. The (quality) level of offered watches is higher and it is watch-only, where the Dutch watch fair also has a lot of wooden clocks etc. Unbelievable, they should separate these things.. 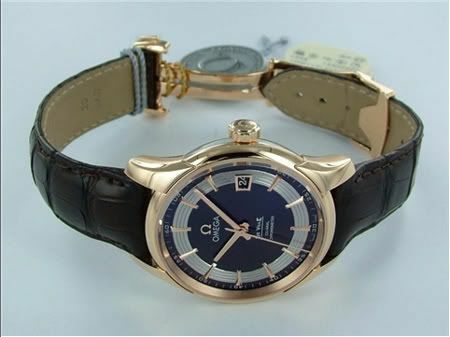 Anyway, I shook hands with Ruud Kuiper of Clockwise with whom I dealt with before and he showed me this gold Omega DeVille Hour Vision watch. 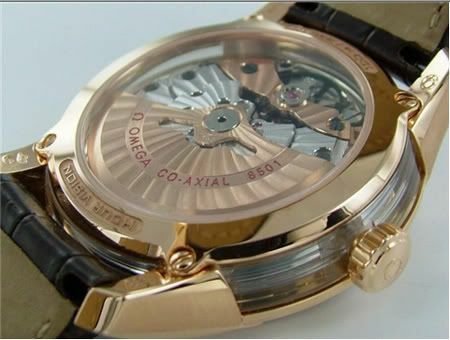 It is the first watch which features the caliber 8500/8501 (red gold) inhouse movement by Omega. 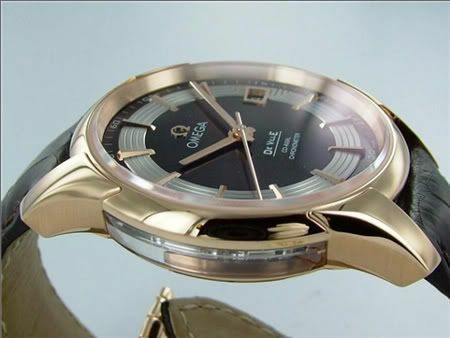 It has been a long time for Omega (early 1970s) to get into manufacturing movements again. This caliber has a power reserve of 60 hours, the co-axial escapement, a date feature and is nicely decorated. I am really impressed by this watch. 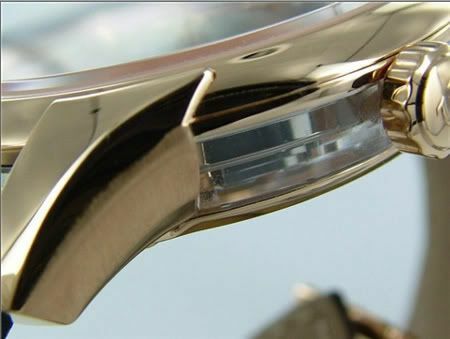 The watch case has a diameter of 41mm and features a saphire see-through on the sides make it possible to have a 360 degrees view on the movement. This particular watch was in rose gold, leather croc strap and gold folding clasp. List price is over 10.000 Euro, but Clockwise has it for sale for 7950 Euro. A very interesting watch in my humble opinion. I am not into gold (and it is out of my budget anywa), but there is also a stainless steel version of this watch. Here is the direct link to the watch over at Clockwise!